New! This case is part of our new Impression Series. Jewelry sit-down case on sleek legs. 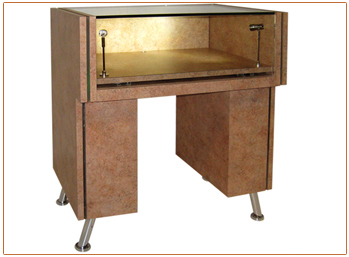 Features glass-to-glass bonding and illuminated panel inserts.